Fly Fox Productions: Flying Blind On a Rocket Cycle: a written article. Flying Blind On a Rocket Cycle: a written article. As a regular visitor to the Cinema critique website The House Next Door Online I read a lot of articles related to film, but up until now I have never agreed with one more, The 5 for the Day Article by Craig Simpson is spot on. In his article Simpson voices his dissatisfaction for Where the Wild Things Are (from here on referred to as WTWTG). He then goes on to list five better serious films about childhood, I will rip off his form and do the exact same thing here. First of all let me explain how I came to view the film. I was going to the movies with my brother and his fiancé. As a minor film snob, who was presented with only a few good choices at the theatre, I was adamantly opposed to the movies they wanted to see. It finally came down to Couples Retreat and WTWTG. I managed to convince them to see WTWTG and we sat down in the theatre. Two hours later I was completely depressed, for I had just sat through the most depressing children’s film ever. Mufasa didn’t die, Bambi’s mother didn’t either, and unlike the tearjerker moments of those and the great Up from earlier this year we were offered no consolation through humor. WTWTG isn’t a children’s film, no isntead it is an Emo teenager and repressed Cinema Snob’s idea of what a children’s film should be. Instead of bright colors and happy characters we get dull grays and browns and we get characters representing every known form of depression. And instead of a happy ending where the characters learn a valuable from their journey we get unintentional hilarious moments that are meant to evoke sadness. Watch the scene of Carol running toward Max’s boat near the end of the film and just try not to burst out laughing. I never thought I would rather see a movie that’s trailer advertises the fact that Faison Love would be depantsed in it, but WTWTG makes me wish I had seen Couples Retreat Instead. Now I will begin my list. My list will differ in that not all selections will be about children, instead they will be five films that would bring me out of any depressive state. They will also be five films I viewed in my childhood. Number 1: Back to the Future. A movie without fault is a rare thing, and Back to the Future is not one of them. But that doesn’t stop it from being epically awesome. From Marty’s mom getting the hots for him to Christopher Lloyd’s Doc Brown paying off a cop, this movie has so many hilarious and sometimes incestuously creepy moments. I never get tired of seeing this movie, and it never stops being the best film for bringing me out of a depression. Zemeckis never made a better film. Karate Kid is a movie that gets better with age, sure the early eighties look incredibly weird (at least to me being born in the late eighties.) but the movie’s main character represents everything I was in childhood. The main character is a middle class teenage boy who is good at sports, has a crush on the school beauty queen, who he gets by the way, and he learns Karate from Pat Morita. Okay so maybe I didn’t get my school crush and I don’t know Karate, but I was good at sports! Okay average at sports, but that doesn’t matter because Pat Morita’s performance is what really makes this film great. After a career of sitcom appearances and small movie roles, Morita busts out with a great performance in a stock role. The wise teacher has never been played better and probably never will. I’m cheating with this one. I saw it only after becoming an adult, but I won’t let that stop me from enjoying great performances by two of my favorite actors, Robert Duvall and Michael Caine, and the only performance of older Haley Joel Osment that will ever be better than horrible. This film has it all, action, romance and a weirdly sad ending which at the same time is joyously happy. Secondhand Lions is a film that has no trouble in bringing a smile to my face. Wow, a movie about horses, this seems unexpected especially since I am an American male who would rather watch Gladiator or The Terminator over any Rom Com ever made. (Except Return to Me, Carroll O’ Connor answering a phone before he even picks it up is comedy gold.) Black Beauty makes the list even though it is incredibly sad, I cry every time (SPOILER ALERT FOR THOSE HERETICS THAT HAVEN’T SEEN IT) Beauty watches Ginger’s dead horsey body pass him on the road, and then I cry again at the end when he imagines himself in Horsey heaven with all his Horsey friends. This movie may be sad, but unlike the depressiveness of a certain recent release, it is a happy-sad, if that even makes sense. I place this film at the end of my list because it is my favorite film of all time. Yes this cinema’s snob favorite film was directed by a non auteur studio director who’s best work includes a film which many suspect may have actually been directed by its male lead, and a film for which he was nominated for an academy award for placing the camera right where Walt Disney told him to. But hey this Disney project was his masterpiece. 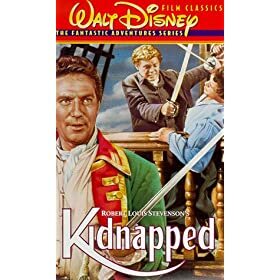 Forget the influence of a wunderkind director and the undisputed master of family entertainment, this film is undoubtedly the work of director Robert Stevenson. What? Never heard of him, check the credits of that guilty pleasure Disney Live action classic you have in your house and chances are he is the director. His other Disney films include the tearjerker Old Yeller and the James Bond thriller Darby O’Gill and the Little People. Why is this film so great? It might have to do with the near perfect page to screen adaption of another Robert Stevenson’s masterpiece novel. Or perhaps it is the fantastic performances of every single actor that appears on screen. From the Screen debut of 8 time Academy Award Nominated Peter O’Toole, to the best performance the Academy Award winning Peter Finch ever gave, to the best role James MacArthur ever gave this side of Hawaii five-o, and finally the roles acted by what seems like nearly every English, Scottish, and Irish character actor ever. Okay maybe that those last two were exaggerations but they have bits of truth in them. Jams MacArthur is capable enough and all those small roles are executed perfectly. But I better stop reviewing my favorite film of all time before this gets any longer, so let me end with a quote that encapsulates the beauty of the film. “I would rather have ten foes in front of me than one friend cracking pistols at my back.” Indeed. Here is one more film to be inspire us to new heights of our sad pathetic lives. Rocky has to be on every list ever made, because if it isn’t the ghost of Sylvester Stallone’s acting career will haunt the list maker with endless showings of Paradise Alley, Stayin Alive, and *shudder* the Get Carter Remake. But seriously Rocky is the best film of all time, and I am not just saying that because a certain somebody’s acting career is sitting next to me as I write this. Ohh and by the way have you heard about Stallone’s next Rocky Opus, yep he wants to make Rocky 7. P.S. I honestly do love all the Rocky films, (except 5, shoot yourself Tommy Morrison) but number 7! Come on Stallone! Please Save the franchise from yourself.